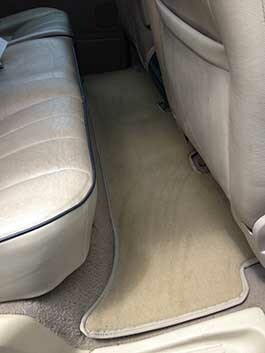 Premium protection mats, custom made for an exact fit for your Range Rover P38 carpet protection mats, modelled on the originals with a special non slip backing and heavy weight to prevent bunching or any movement. 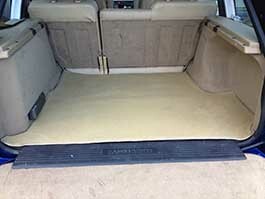 Available in your choice of 16 colours including the Range Rover Lighstone (Buckskin), Walnut (Ginger) and Grey. 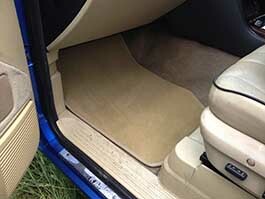 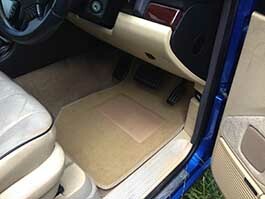 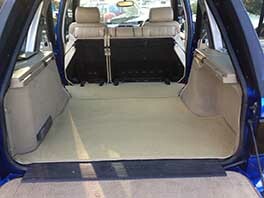 We can also do matching or contrast binding and heel mats on one or both front mats.